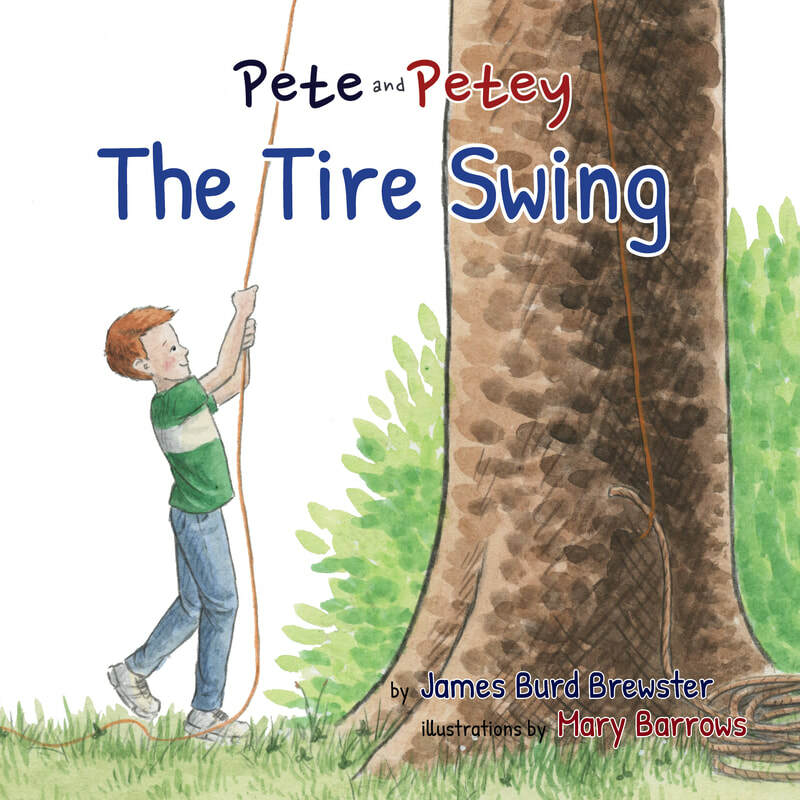 Buy "Pete and Petey - The Tire Swing"
Meet Petey Washburn. He is seven and is named after his dad, Pete, but everyone calls him Petey. Petey is excited because he and his dad are going to hang a tire swing from the big branch sticking out of the oak tree by the driveway. Together, Petey, Sam - his older brother, and their father find or buy the swing’s materials. Then the boys realize the branch is way off the ground and they can’t get the rope over it. Their discouragement doesn’t last long as advice and help from dad, milk and cookies from mom, and a tip from Heather, their 10 year old sister, does the trick and the swing is completed. Pete and Petey is the newest picture book series from J2B Publishing. The main characters, Pete and Petey, enjoy a very close father-son relationship and are members of a loving family that does things together.